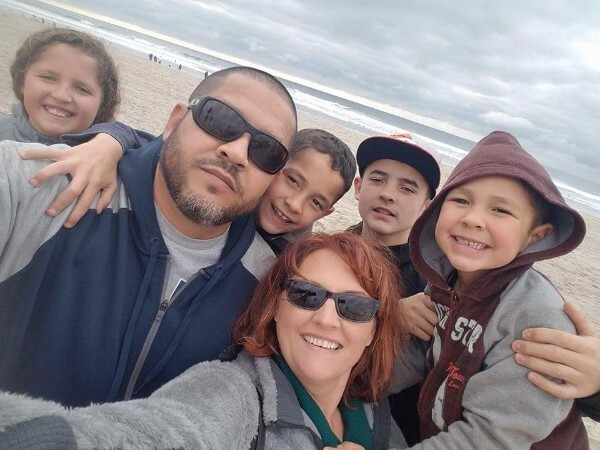 Jose Valdez, a husband and father of 4, had a massive heart attack due to a 100% blockage of the left anterior descending (LAD) artery. The massive heart attack happened Monday night (1/23/2017) without warning and only through the quick thinking and actions of his younger brother, Jose has not left us. Jose is a dedicated father and husband never waivering in his commitment to his family. He works tirelessly and countless hours as the primary provider for his family. This page is being started to raise money for his family's medical expenses and his long road to recovery. Jose has given me the shirt off his back, literally! There is not a single time that Jose has not been there for us all. Help us in giving back to him in his time of need. Thank you all so much for generous and much need contributions to Jose's family. It is your help, support, kindness and prayers that are helping to lift Janelle and the kids up in this difficult time. I know so many have gone above and beyond with there donations but we are still a ways away from our goal. I would ask each of you to please get the word out about this site so that we may continue to support the Valdez family as Jose has supported many of through the years. God Bless each of you and thank you. Friday, February 3, 2017 we laid a great man, husband, father, son, brother and friend to rest. Jose Valdez you were a light in the world your grin and the way you loved us all will NEVER BE FORGOTTEN! You may have gone to heaven way too early but the fingerprint you have put on this world and us will continue on. The legacy of the way you lived your life will go on as your children grow. Our promise to you brother is that your wife, children, brother and parents will never be alone, they will never go without as you never let us go without. Jose Valdez you were loved and you will never be forgotten. You were and will continue to be our hero. Thank you for the kind words and generosity you have all shown. As we start to say goodbye (only for a little while) to our beloved Jose Valdez this song I hope offers some comfort for us all. Jose was a family man through and through. God Bless you Husband, Father, Brother, Son and our best friend. Valdez strong, gone but you will never be forgotten! Jose E. Valdez, 42, our beloved husband, father, son, brother and friend was embraced by the Lord and taken to Eternal Life on, January 29, 2017. Jose was born in El Paso, TX and was a resident of Albuquerque, NM. He will be fondly remembered as a loving and giving person who was always ready to give a helping hand. Jose is survived by his loving wife, Janelle Valdez; children, Jose Jr., Janae, Diego and Santiago Valdez; parents Jose and Librada Garcia; brother Gerardo Valdez; nieces Elize Valdez, Courtney and Caitlyn Zang; godson Xavier Macias; nephew Max Kruse; and many other loving relatives and friends. Jose will be greatly missed by his loving family as well as by those whose hearts he touched. Jose's Life Celebration will begin with a Rosary on Thursday, February 2, 2017 7:00 p.m. at Queen of Heaven Church, located at 5311 Phoenix Ave NE, Albuquerque, NM 87110. The Mass will be held Friday, February 3, 2017 at 10:00 a.m. also at Queen Heaven Church. Ennichmnet will follow Mass at Sunset Memorial Park Cemetery. Please join the family for a reception at the Moose Lodge at 2121 Edith Blvd NE. 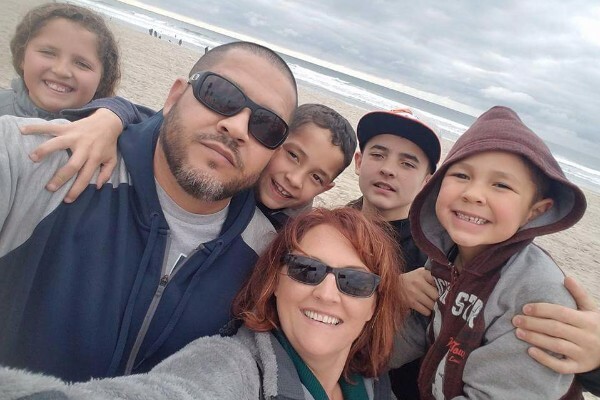 In lieu of flowers please visit Jose's Go Fund Me Account at https://www.gofundme.com/jose-valdez-father-of-4-heartattack. The love in my heart pours out for you, and may the Lord bring comfort and healing, in Jesus name! Amen! Rest in Peace, we are so sorry for your loss. On behalf of the American Subcontractors Association of New Mexico Board of Directors, Members and Staff.